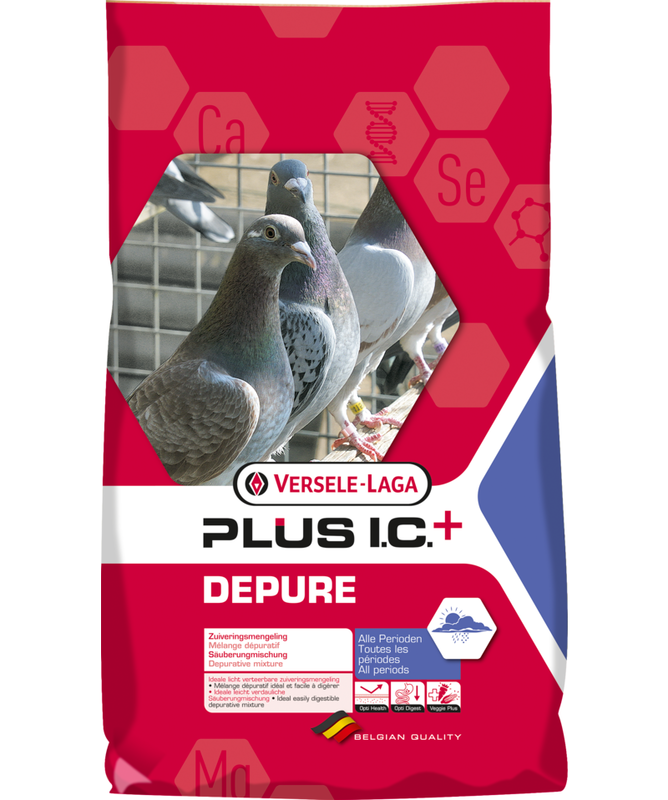 Complete pigeon feed enriched with the special Immunity Concept+ diet pellet (with a.o. fresh vegetables and herbs). That is why the Plus I.C.+ Depure has an added value in comparison to a conventional depurative mixture. The added extruded Plus I.C.+ diet pellets work for a better digestion and an additional number of vitamins and amino acids, which are important for the general health. This is so much more than a conventional depurative mixture that only provides a solution to the pigeon’s protein and fat requirement. The extruded diet pellet, light and easily digestible, makes for an ideal depurative mixture. The extruded diet pellet contains fresh vegetables and herbs, among other things. 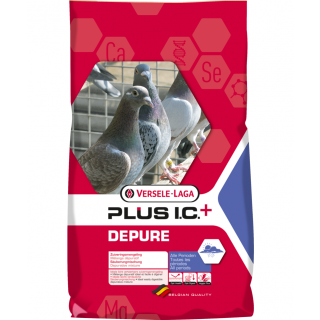 Provides the pigeons with the necessary nutrients without gaining fat. Easily digestible feed that guarantees an extra reinforcement of the immune system.